It is always thrilling to see relics of human exploration out there on other worlds. 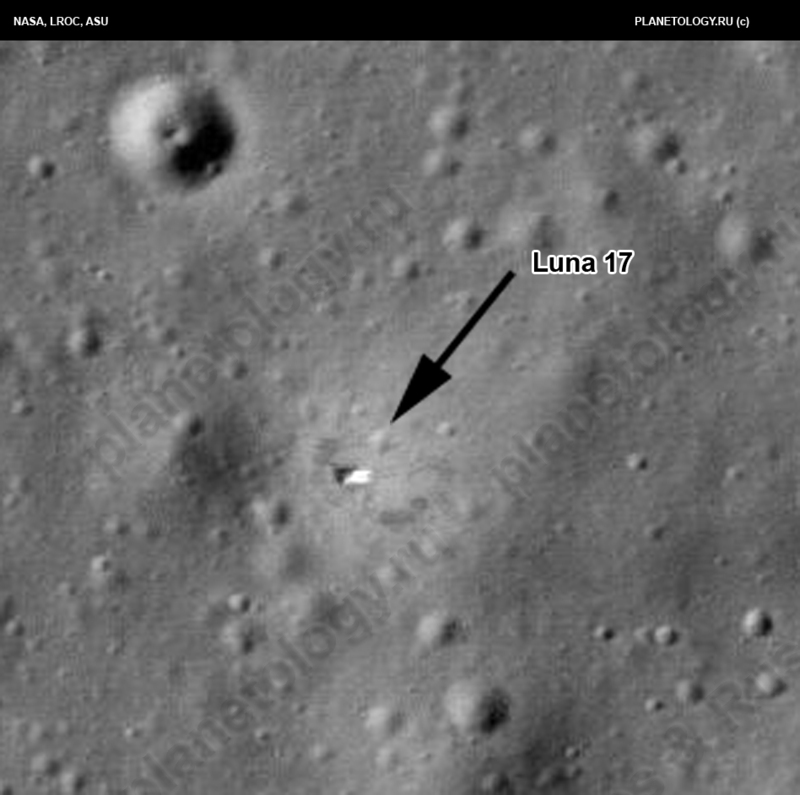 Today, the Lunar Reconnaissance Orbiter Camera team posted some new photos of two defunct spacecraft: the Luna 17 lander and the Lunokhod 1 rover. I've posted images of the two craft before, but the ones released today are much better. It's still a bit hard to make out the shape of the rover, but you can very clearly see the ramps from Luna 17 down which the rover debarked, and the characteristic parallel tracks and donuts made by a multi-wheeled rover roving and turning in place. Thinking about the Lunokhods and their incredible missions, I'm filled with admiration for what the Russians accomplished with these awesome remotely operated vehicles. 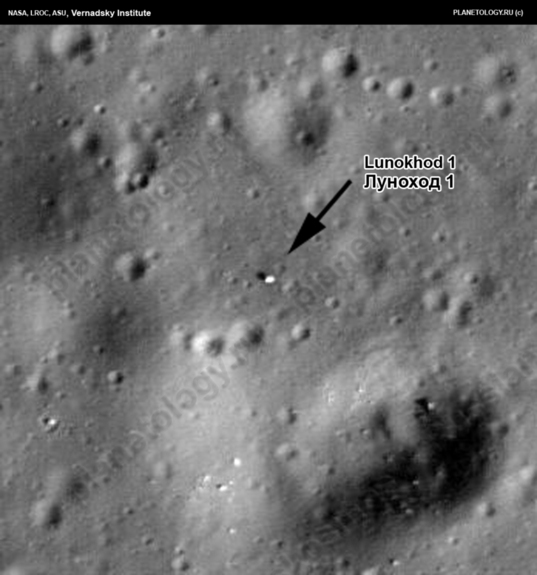 They may not ever have achieved human landings on the Moon, but Lunokhod 2 drove 37 kilometers across the lunar surface in 1973. That's pretty amazing.